Little Known Help Zone is so proud to announce our newest endeavor, Color Creates a Brighter Future. This is a children’s coloring book that inspires children to embark on their own service projects by teaching them how to recognize their passions and act on them to make a change in the world. This book is available for $8 and all proceeds support Little Known Help Zone’s mission to empower children for educational success. LKHZ will be traveling to Mexico in a few weeks and making sure to give back while in the area. When in Playa del Carmen, LKHZ will be donating the remaining book donations from last year’s trip to Keep Kids in School Project (KKIS). This organization works hard to both keep kids in school and educate them in English. The English books will be great practice to read. Also while there, LKHZ will be helping to pack backpacks of school supplies for once the school season resumes in Fall. Stay tuned for pictures from the visit, as well as upcoming projects! Just as the Little Known Help Zone backpacks for the 5 new orphans at Hogar de Amor were sent, it was discovered that 3 more children of the ages of 3, 5, and 10 were added to the home! 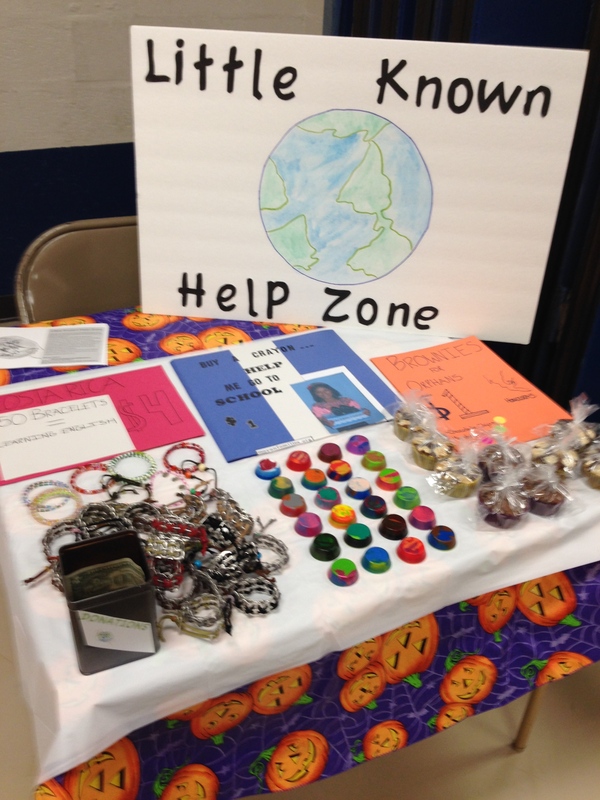 Little Known Help Zone knew the need to send more was there and went out and purchased items for the three girls. These are on their way to Honduras, with shipping generously provided by DIP shipping. 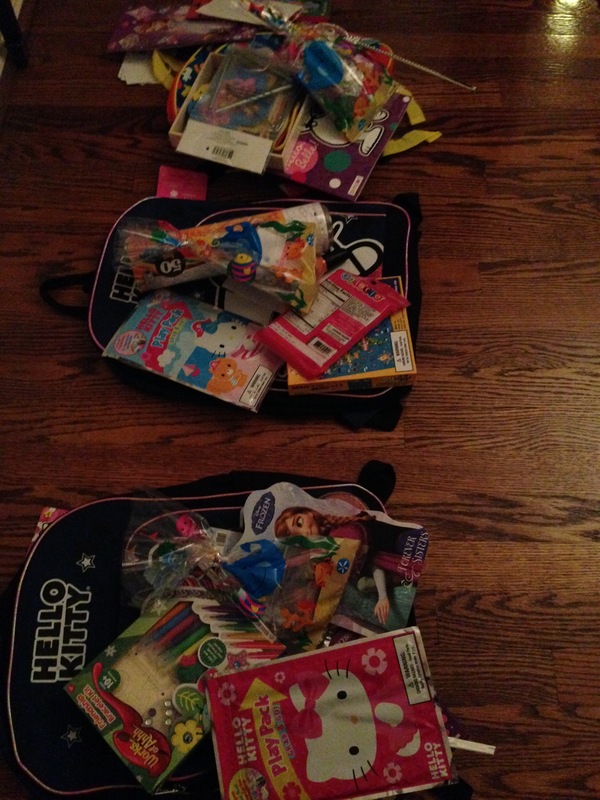 Funding for these backpacks was earned through fundraising efforts from earlier this year. Check out the new backpacks! 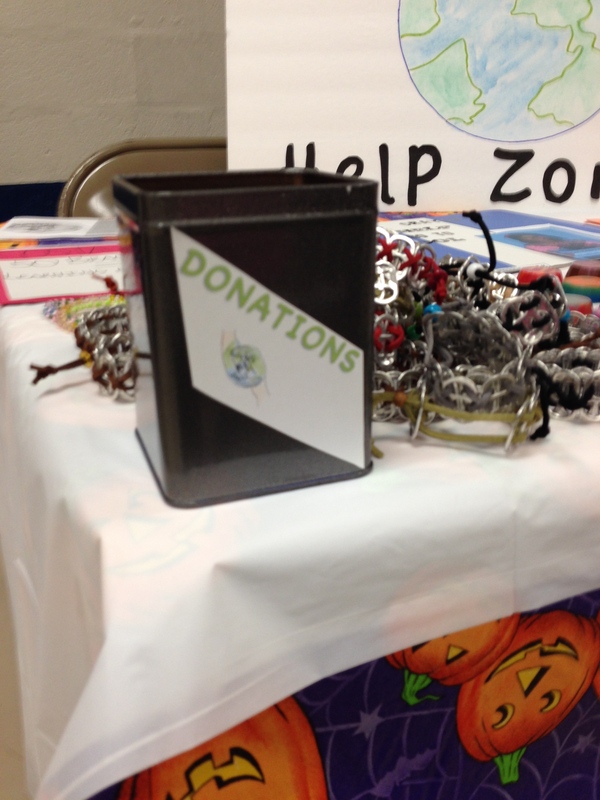 Little Known Help Zone Western Salisbury Fall Fest Fundraiser Success! 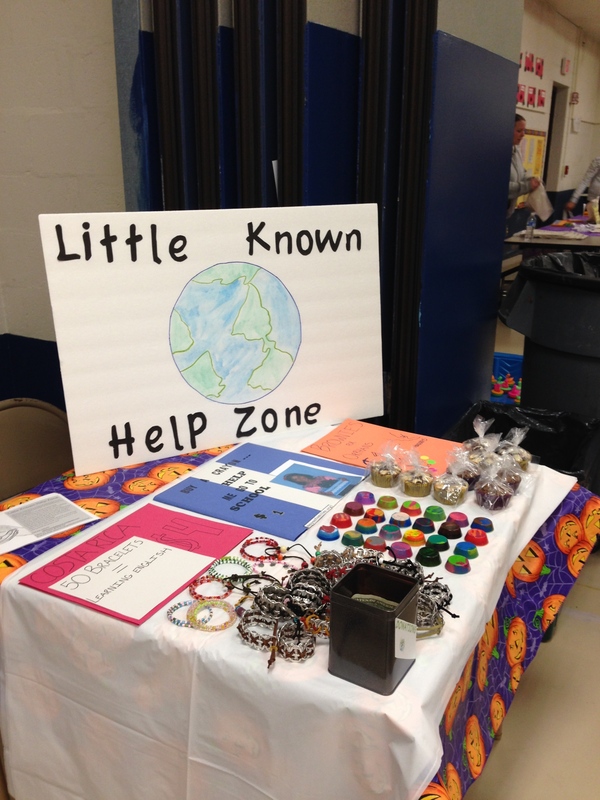 Last night was thoroughly successful, and Little Known Help Zone is so excited to share the results. The table set up was great and brought in a lot of attention. Many people were interested in the items being sold and the work I was doing. 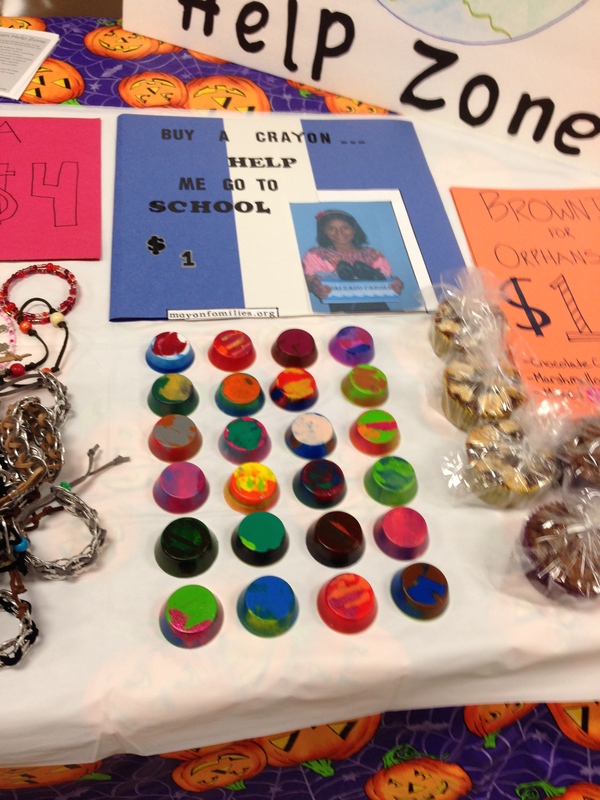 The bracelets were a popular item amongst adults and children, and the kids loved the crayons! 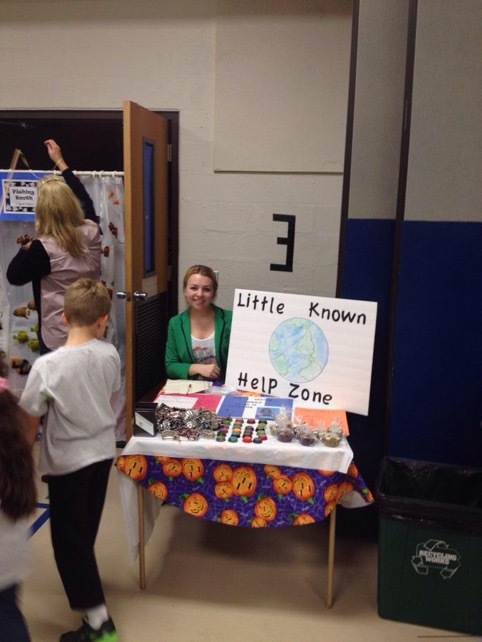 In addition to raising $93.10 for the causes, Little Known Help Zone gained some great exposure! 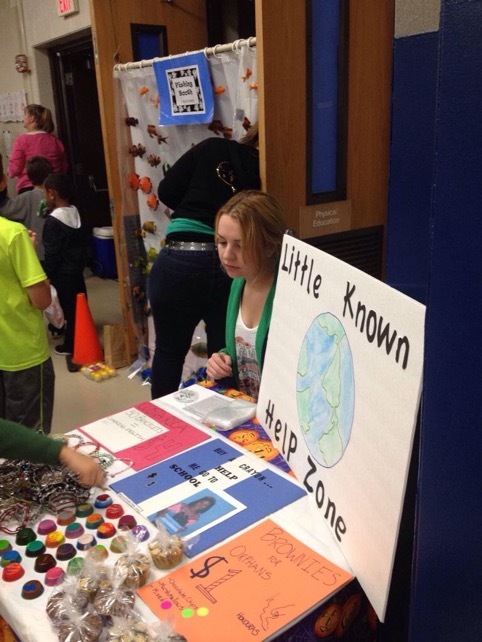 Through additional fundraising efforts, Little Known Help Zone hopes to reach the goal! We’re 1/8 of the way there! The final installment for the fundraiser has been complete. 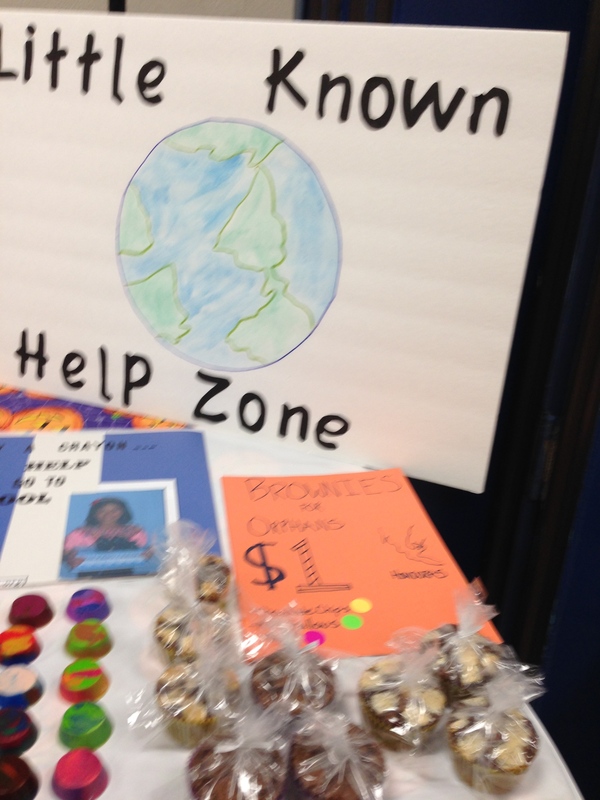 Little Known Help Zone will be selling brownie cups to raise money for Honduran Orphans. The money will go to buy gifts for the 5 new orphans at Helping Honduras Kids and to buy a playground toy at Mama Lana’s orphanage. The brownies are sold for $1 a piece and contain marshmallows and chocolate chips, these were kindly donated. The fundraiser is this Friday, 6-8 pm at Western Salisbury Elementary School’s Fall Fest. If you would like to purchase any of the items mentioned in this blog post or previous, please contact to support. The final step is to make the pamphlets and literature for the event! Here is a photo of my surrounded by all the supplies I collected in 2012! There were the flyers hung around my school during the drive. The great woman I worked with at Radius and I.